The hostel is very good located in the city center. During my stay I had the luck of the contruction on th other side of the street. It was not funny, from 8:00 it was like trying to sleep on a constructionplace. Then during the night the street has a lot of noise. I know these things are not the fault of the hostel but improvement in the windows would reduce the amount of noise. 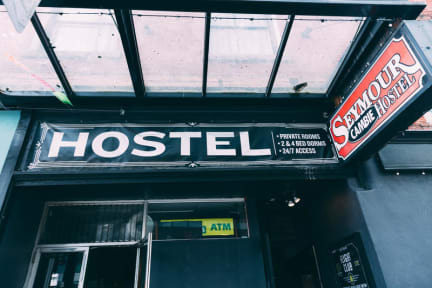 For the price it is a good value hostel. 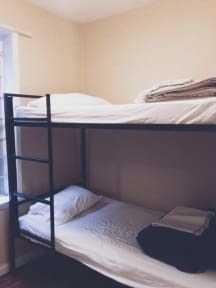 The hostel itself is ok. We had a very small private room. The hostel is very noisy, even on weekdays in low season. We were sleeping close to the washing room which made a lot of noice, and there were loud people the whole night. The location is very good though. I think this hostel is perfect for people who want to party and don't expect too much quiet time.